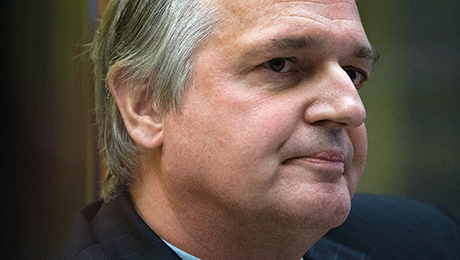 Europe’s top corporate executives, like Unilever’s Paul Polman, aren’t counting on a recovery. They’re restructuring businesses and expanding abroad to pursue growth. Executives at the former European Aeronautic Defence and Space Co., makers of everything from Airbus jetliners to military helicopters and transport aircraft, knew the company needed to respond to the drastically different fortunes of its two main business lines if it was to sustain its growth trajectory. While the market for civilian aircraft was booming, the group’s defense operations were suffering from continuing cutbacks in military spending across Europe and in the U.S. Attempts to address the problem by arranging a merger with the U.K.’s BAE Systems failed in 2012. During a strategic review last year, executives discussed ways to improve profits in its defense business, particularly Airbus Military, a division that makes military transport aircraft. It generated just €92 million ($122 million) in operating profits in 2012, compared with €1.1 billion for Airbus’s commercial aviation business. The more they looked at the business, the more executives realized that the pressures on the military side were likely to be permanent, not temporary, and the company would have to adjust, says Harald Wilhelm, the group’s chief financial officer. “We just faced reality,” the CFO says, “both in terms of the budget situations in our countries but also the enhanced competition in exports.” The group needed to slash costs and streamline the military business while doing as much as possible to leverage the strength of the commercial aircraft division. In July the company announced a major restructuring and reorganization designed to achieve all of those goals. It would combine Airbus Military with the group’s satellite and rocket unit, Astrium, and with Cassidian, a maker of missiles and defense electronics, to form a new division, Airbus Defence and Space. The change enabled the group to consolidate office and factory space across France, Germany, Spain and the U.K., and shed roughly 5,800 employees. In addition, EADS renamed itself Airbus Group, effective in January, to highlight its biggest division and most powerful brand and to “symbolize the stronger integration of the group,” Wilhelm maintains. It also changed the name of its third division from Eurocopter to Airbus Helicopters. Europe’s ongoing economic difficulties are forcing companies, like Airbus Group, to take some tough decisions. Green shoots of recovery are sprouting across Europe after a long and painful stagnation, including deep recessions in many countries, but no one expects a vigorous rebound. The International Monetary Fund predicts growth of just 1.1 percent for the 18-nation euro area this year, and only slightly faster for the European Union as a whole. As a result, companies are rethinking their strategies and getting creative about where to find as-yet-­unearthed growth opportunities. The London Stock Exchange Group has been diversifying its business across countries and product lines to adapt to the changing economic and regulatory environment in the financial services industry. French concessions and construction company Vinci is also pushing for international diversification in response to tougher markets in France and the rest of Europe. Unilever, the consumer goods giant with headquarters in both London and Rotterdam, has more than two dozen factories under construction in various emerging markets, anticipating that its most promising growth opportunities lie in these regions. Intertek Group, a London-­based testing, inspection and certification specialist, is gunning for growth in the U.S., where it made two major acquisitions last year. In a sense, it’s back to business as usual. Rather than worrying about whether the euro zone would implode or other geo­political threats, European executives are focusing on how to make a buck — or yuan, rupee or real for that matter. “I think the underlying tone in Europe is sort of a normalization of the economic and business environment,” says Bart van Ark, chief economist at the Conference Board, a New York–based business membership and research group. CEOs, he adds, are “letting their businesses recover and revamp and trying to grow again.” With the European economy unlikely to expand by more than 1.5 percent this year, companies will have to look elsewhere to find that growth, he adds. 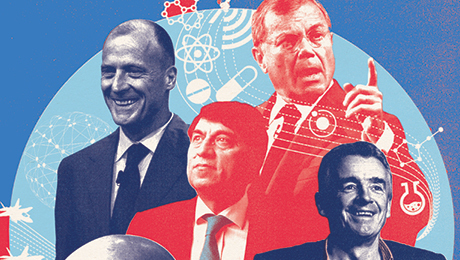 Executives at Airbus Group are doing the best job of facing today’s challenges, according to the 2014 All-­Europe Executive Team, Institutional Investor’s exclusive ranking of the region’s top CEOs, CFOs, investor relations teams and IR professionals. Airbus’s chief executive, Thomas Enders, is voted as the best CEO in the Aerospace & Defense sector by both buy- and sell-side analysts participating in the survey. Both sides also name Wilhelm as the top chief financial officer in the sector, and the company’s IR team and its IR professionals, Philippe Balducchi and Julie Kitcher, get top marks. That clean sweep makes Airbus the Most Honored Company in the ranking. Lists of top-ranked CEOs and CFOs, as well as the survey methodology, appear in the tabs on the right. Few companies have encountered as much change in their core businesses in recent years as the London Stock Exchange Group. Historically dependent on its core U.K. equity trading franchise, the company got a wake-up call in 2007 with the implementation of the European Union’s Markets in Financial Instruments Directive, or MiFID. By requiring investment firms to achieve best execution for their clients, the law introduced in Europe the kind of no-holds-barred competition among exchanges that had revolutionized the American equity market. 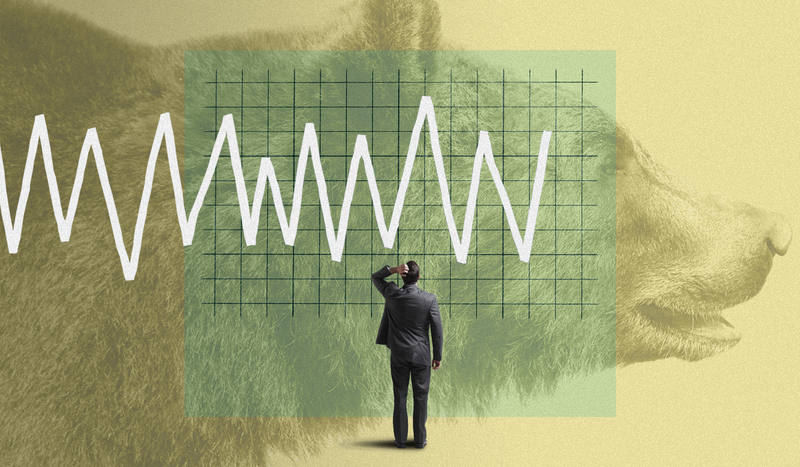 And just as MiFID was shaking up the equity business, the global financial crisis prompted a wave of regulation affecting securities trading, among other areas. Upon arriving as CEO in May 2009, Rolet determined that the group was too focused on equity products and quickly organized what he calls a “complete refit of our toolkit.” The first step: technology. Traditionally, LSE had relied on outside technology providers to develop its trading platform. Rolet, 54, phased out those contracts in 2009 and acquired Sri Lanka–based MillenniumIT to bring those services in house. The move cut costs and gave the company control over its technology, a critical factor in the fast-­changing exchange space. Today, MillenniumIT’s technology drives trading platforms at stock exchanges in Johannesburg, Oslo and Ulaanbaatar, home of the Mongolian Stock Exchange; technology sales generated 7 percent of the LSE’s overall revenues in the fiscal year ended March 31, 2013, or £56.1 million ($93 million). Rolet also was determined to broaden LSE’s product offerings into pre- and posttrade risk management. To that end, the company made 14 acquisitions between 2009 and 2013, the most notable one being the May 2013 purchase of a 58 percent stake in LCH.Clearnet Group, which provides clearing services around the world in a variety of asset classes, including interest rate swaps. Posttrade services, which LSE didn’t even offer a decade ago, had revenues of £208.5 million last year, or 24 percent of the group’s total. Rolet also buttressed LSE’s information services in 2012 by acquiring the 50 percent stake it didn’t already own of index company FTSE International in December 2011. For Rolet, the key to LSE’s diversification is as much about geography as it is about a wider range of products and services. In early March, LSE’s Italian bond trading subsidiary, MTS, announced it was acquiring Bonds.com Group, a U.S.-based electronic trading platform for U.S. corporate and emerging-markets bonds. For Vinci, the French construction giant, reconstruction is the order of the day. The company is pruning or exiting slow-growth businesses and redeploying capital to activities that offer more promise, says Xavier Huillard, best CEO in Building & Construction in the buy side’s eyes and second-best according to the sell side. In February the company said it was in talks to sell a majority stake in Vinci Park, a subsidiary that manages some 1.6 million parking spaces in 14 countries, to Crédit Agricole Assurances and Ardian, formerly the private equity arm of French insurer AXA. Huillard, 59, intends to devote the freed-up capital to expanding in areas such as air, rail and road infrastructure. Vinci’s sales rose 4.4 percent in 2013, to €40.3 billion, and net income gained 2.3 percent, to €2 billion. In looking to expand its main activities of concessions and contracting, Vinci is targeting international growth in particular. Last year the company secured what its executives believe will be one such source of growth when it acquired a 50-year concession to operate all the airports in Portugal. The move quadrupled Vinci’s airport management activity, making the company a major player in a sector that is expected to grow twice as fast as global gross domestic product, says Huillard. The number of passengers using Vinci’s airports grew by more than 7 percent in 2013. Public-private partnerships also represent a growth opportunity given tight government budgets around the world, Huillard believes. His company is part of a consortium building the Ohio River Bridges Project, a $1 billion initiative to build two new bridges and connecting interchanges to carry traffic across the river from Louisville, Kentucky, to southern Indiana. “We have a well-­garnished pipeline of new opportunities that we are looking at today” in PPPs, says the CEO. Vinci is also looking to grow its energy business. In 2012, Vinci Energies, an electrical engineering subsidiary that generated nearly a quarter of the group’s revenue last year, acquired GA Gruppe, a German provider of electricity transmission equipment and telecommunications infrastructure. The move strengthened the company’s position in Germany, its second-­largest market. “Vinci is positioning itself as one of the key players in Europe’s infrastructure market in anticipation of a restructuring of the energy industry,” says Huillard. The recent financial turmoil and growth slowdown in a number of significant emerging markets has worried some European executives who were counting on those countries to deliver much-needed growth. Unilever’s Paul Polman is sticking with his growth strategy, though. “With income levels still rising in these markets, populations increasing and aspirations for quality brands as well, the opportunity for Unilever remains considerable, and we will not be changing our investment strategy away from developing markets,” says Polman, rated the top CEO in Food Producers by both the buy and sell sides. The Anglo-Dutch consumer products company chalked up an 8.7 percent sales gain in emerging markets last year; those areas generated 57 percent of the group’s overall sales. By contrast, sales dipped by 1.1 percent in Europe and 1.5 percent in North America. Unilever is putting its money where its CEO’s mouth is, and has made it clear that expansion in emerging markets remains a focus, with 25 factories under construction in such countries as China, South Africa and Turkey. Polman and his team spent €1.6 billion to expand manufacturing capacity last year, including an ice cream plant in Konya, Turkey, and its first Asian aerosol deodorant plant, in Khamgaon, India. The company is also investing in human resources in developing markets; it opened its first management training center outside the U.K., a €50 million facility, in Singapore last June. Unilever is buying as well as building. In December 2011 the company acquired Concern Kalina, a Russian beauty company, for 17.4 billion rubles (then worth about $580 million), which Polman says gave ­Unilever the No. 2 position in the country’s personal-­care market. That same month the company bought Ingman Ice Cream Group, a Finnish manufacturer with operations in Sweden, Lithuania and Belarus. It’s “more important now than ever” to have a competitive brand portfolio, says ­Polman, 57. That explains why Unilever has disposed of smaller, “less strategic” assets like its North American frozen foods portfolio, including the Bertolli and P.F. Chang’s Home Menu labels, which it sold to ConAgra Foods for $267 million in August 2012. In February it announced it would sell its meat snacks business — which includes the Bifi brand in Germany, Austria, Switzerland and the Benelux region and the ­Peperami brand in the U.K. and Ireland — to U.S.-based Link Snacks for an undisclosed sum. The sharpened brand portfolio will help the company prepare for the long term, ­Polman contends. The company has beefed up its marketing muscle, raising advertising and promotional spending by €763 million, or 12.6 percent, between 2011 and 2013. For Intertek, the world’s largest tester of products and industrial processes, with more than 1,000 laboratories and 36,000 employees, emerging markets represent promise for the future. Developing economies accounted for 38 percent of group sales in 2013, up from 36 percent in 2012. Overall revenues rose 6.3 percent in 2013, to £2.18 billion; operating profits rose 2.2 percent, to £343 million. Management faces plenty of challenges, though, including a weak market for minerals and mining inspection, which was down 10 percent for the year. Intertek turned to acquisitions last year in a bid to drive growth, says CEO ­Wolfhart Hauser, ranked No. 1 in Business & Employment Services by sell-side voters and No. 2 by the buy side. In December the company paid £59 million for Architectural Testing, a York, Pennsylvania, outfit that tests and certifies building products. And Intertek spent £45 million in October to acquire Global X-Ray and Testing Corp., a Morgan City, Louisiana–based provider of nondestructive testing of oil and gas equipment, particularly in the U.S. hydraulic fracturing, or fracking, industry. So far this year, Intertek has already completed the £40 million purchase of International Inspection Services, a United Arab Emirates–based provider of testing for the oil and gas industry. Going forward, says Hauser, 64, the company expects to spend between £50 million and £100 million a year on acquisitions.